Walk of Fame - a handful of sidewalk plaques spread around downtown honor Clarksdale’s music, literary, civil rights and sports legends. The Crossroads -This iconic sign welcomes visitors to the spot some residents claim is THE crossroads where Robert Johnson sold his soul to the devil. It is the crossroads of two important highways in blues songs and history. 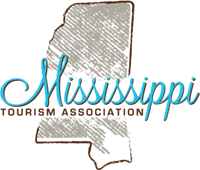 8:00 pm - Clarksdale offers live Blues Music every night of the week, check the Sounds Around Town for the weekly music calendar. Clarksdale, Mississippi is a town steeped in culture and significant for its role in blues history. It’s the place where Robert Johnson sold his soul to the devil at the crossroads, the birthplace of Sam Cooke and where Morgan Freeman now owns and operates his own blues club, Ground Zero Blues Club. offers your own personal shack on the property. Abe’s BBQ – Tamales, pulled pork sandwich or ribs. You can’t go wrong with any. Ground Zero Blues Club – Grab some fried catfish at the bar during a live blues show. You might spot Morgan Freeman if he’s in town. Red’s – The most authentic juke joint in town. If you’re lucky, you’ll see the legendary Robert ‘Bilbo’ Walker perform. 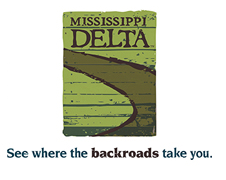 Delta Blues Museum – Museum dedicated to preservation and education of Delta blues music. Cat Head – Blues and folk art souvenirs, posters, shirts, etc. New Roxy – Former theatre turned open-air live music venue.